England's longest-reigning monarch, Queen Elizabeth II (or as she's officially known: "Elizabeth the Second, by the Grace of God, of the United Kingdom of Great Britain and Northern Ireland and of Her other Realms and Territories Queen, Head of the Commonwealth, Defender of the Faith") is a beloved global figure, whether she rules the country in question or not. But there's far more fascinating tidbits about her life than simply "she's the Queen." Here are some facts you may not have known about one of the world's most famous nonagenarians. For many of us, Queen Elizabeth is the only British monarch we've ever known, and yet, the odds of her reigning supreme were once incredibly low. It's only due to an unprecedented twist of fate that Elizabeth assumed the throne. As recapped by History.com, when Elizabeth was born in 1926, her father, George VI, was not the king. His father, George V, ruled the kingdom and had only been in power since 1910. George had two sons, Edward VIII and George VI, meaning both were in line for the throne before Elizabeth, who was 10 when Edward became king in 1936. Shockingly, after less than a year as king, Edward abdicated the throne, becoming the first monarch in history to voluntarily do so. 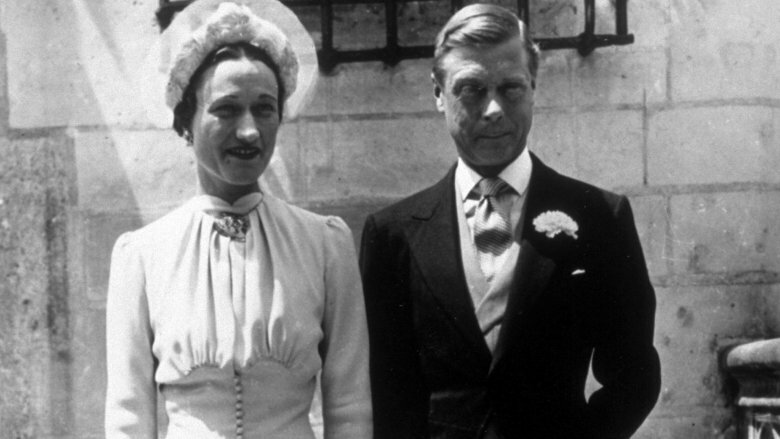 According to People, he fell in love with and wed an American woman named Wallis Simpson, but the Royal Family was unwilling to accept such a break from tradition. Rather than leave his beloved, Edward left the monarchy. This meant George VI became king far sooner than expected, and he reigned until his death in 1952. He never had a son, so his eldest daughter, 25-year-old Elizabeth, became the queen we've grown to know and love. In addition to the military, then-Princess Elizabeth also served with the Scouts. According to the official Diary of events in the early life of The Queen, Elizabeth joined the Girl Guides — the British version of Girl Scouts–at age 11, and when she turned 16, she became one of the Sea Ranger–senior scout guides with a strong naval interest. 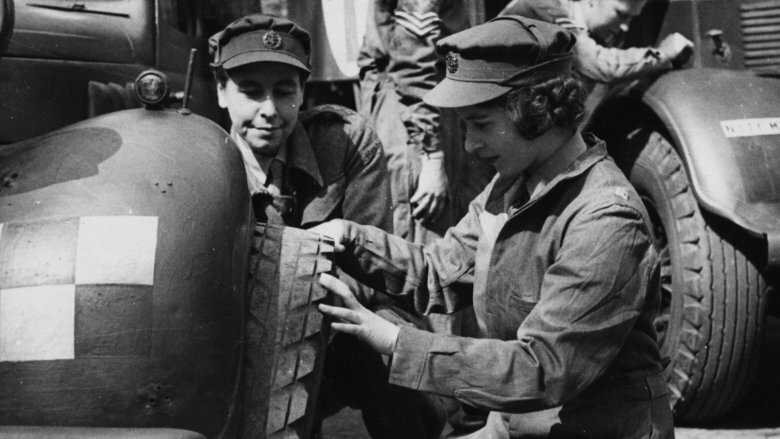 As a Sea Ranger, Princess Elizabeth aided England during World War II and proved able enough that in 1945, she was promoted to Sea Ranger Commodore. 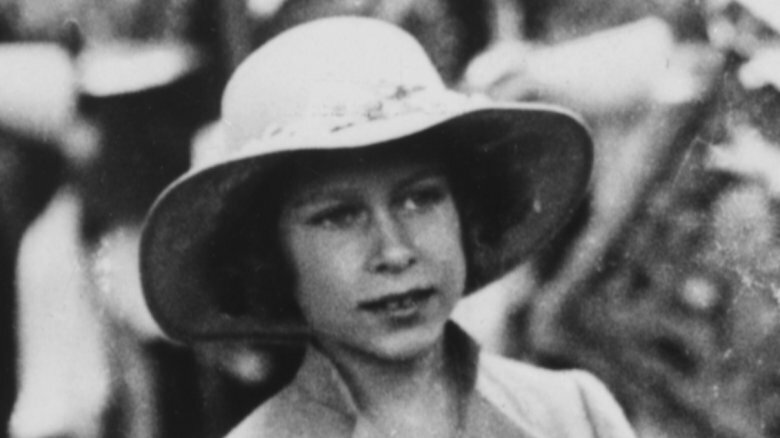 Before becoming Queen, Elizabeth cut her teeth as a princess, but she wasn't one to just sit around and be royal. She got down and dirty. As a 16-year-old in 1942, she decided to join the military. Her father, the king, reportedly wasn't thrilled with that idea at first, but eventually relented and allowed her to join the Auxiliary Territorial Service. According to Mashable, she trained as a mechanic, learning how to change tires, rebuild engines, drive various trucks–including ambulances–and much more. Elizabeth reportedly proved good at the job; within five months of signing up, she was promoted to honorary Junior Commander. Though she certainly mixed it up with the commoners, Junior Commander Elizabeth still enjoyed a perk or two. While other service members bunked on base, she returned to Windsor Castle each night. 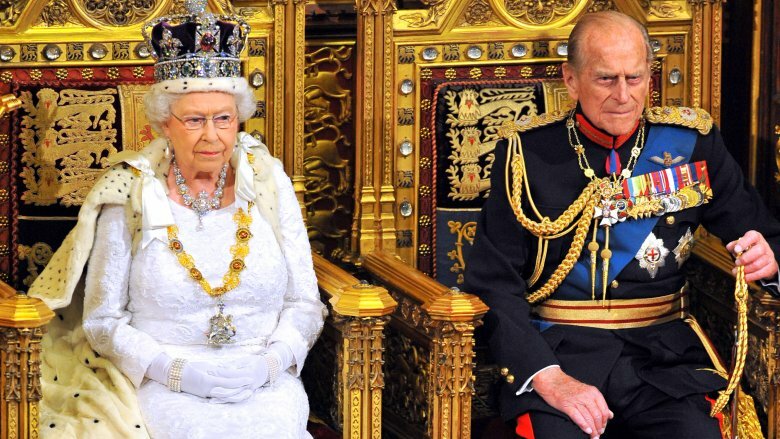 As weird as it might seem on its face, the Queen and her long-time husband, Prince Phillip, are related. Fear not: they aren't first cousins, but they are closely connected. Expedia reportedly mapped out the Royal Family Tree in 2017, and according to the Business Insider, it shows that Prince Philip and Queen Elizabeth are third cousins, connected directly to Queen Victoria, who assumed the throne in 1837. Elizabeth is related to Victoria as her paternal great-great-granddaughter. Phillip is Victoria's great-great-grandson on his father's side, making them adherents to a tradition that hasn't been practiced much in recent times. In the past, royals were expected to marry royals, and sometimes that meant keeping it in the family. The traditions of the monarchy have softened over time, as is evidenced by Prince William marrying commoner Kate Middleton. Regardless, Elizabeth and Philip seem satisfied with their union, which has spanned an inspiring seven decades. 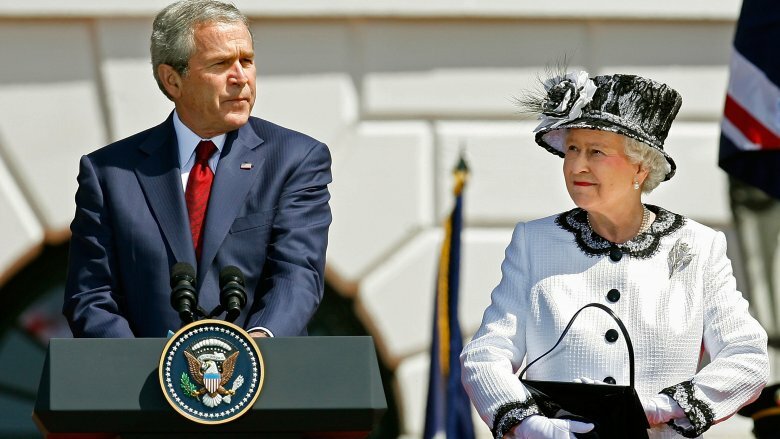 The Queen of England is under no obligation to visit other countries with any regularity, but it's still surprising that over the course of some 60 years on the throne, Elizabeth II has only officially visited the United States of America five times. According to The Huffington Post, Queen Elizabeth's father, King George VI, was the first British monarch to set foot in the States in 1939. After she took the throne, Elizabeth made her first official U.S. visit in 1957 to meet with President Dwight Eisenhower. She steered clear in the '60s, but met President Gerald Ford on U.S. soil in 1976. She reappeared in 1991 at a Baltimore Orioles baseball game, taking in America's pasttime with President George H.W. Bush and meeting legendary player Cal Ripken Jr. The Queen dropped by the Kentucky Derby (Considering she wears Derby-appropriate hats all the time, we suspect she fit right in) in 2007, and in 2010, she returned to the States to lay a wreath at Ground Zero in New York City. The Queen loves her animals–most famously, her Welsh corgis. According to The Christian Science Monitor, she has owned as many as 30 corgis during her reign, and the adorable little pups are as much a symbol of her monarchy as her crown. But amazingly, it's possible that the Queen invented her own dog breed, too. 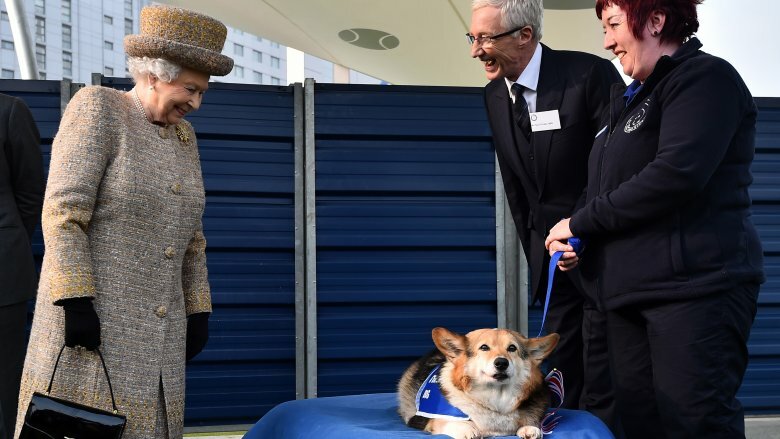 The royal website reportedly claims Queen Elizabeth engineered the "dorgi," a mixture of a corgi and dachshund that's just extra levels of adorable. That hasn't been confirmed beyond "the Royal Family said so," and others think it was an accidental crossbreed that resulted from one of her corgis mating with one of her sister's dachshunds. Whether either or neither story is true, it's certifiable that the Queen loves her pooches. She's reportedly not breeding pups anymore. According to The Telegraph, a friend of the aging Queen claims she doesn't "want to leave any young dog behind." Being Queen comes with many privileges. Among the perks: she doesn't need a passport, driver's license, or even a license plate. According to Hello magazine, thanks to "royal prerogative," England's reigning monarch is the only person in the country who doesn't need a license or license plate to drive. 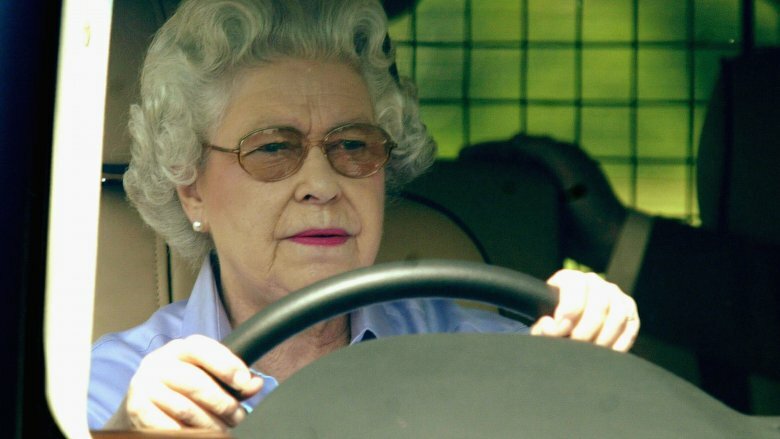 Luckily, Queen Elizabeth is reportedly a fine driver who enjoys taking herself for a spin around the royal estates, even in her '90s. Even if she had a lead foot, what bobby (British cop) in their right mind would pull over the Queen? As for the passport, she doesn't need one because all UK passports are issued in her name, reported the Atlantic. 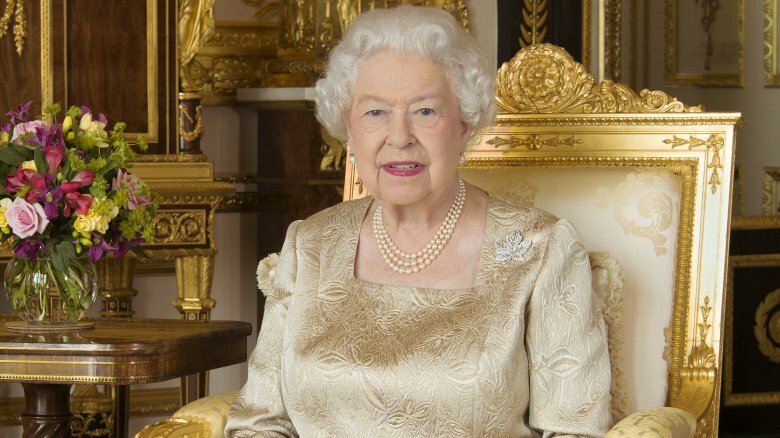 The first page of every passport says, "Her Britannic Majesty's Secretary of State requests and requires in the name of Her Majesty all those whom it may concern to allow the bearer to pass freely without let or hindrance…" It wouldn't make sense for the Queen to hold a document granted by the Queen, now would it? 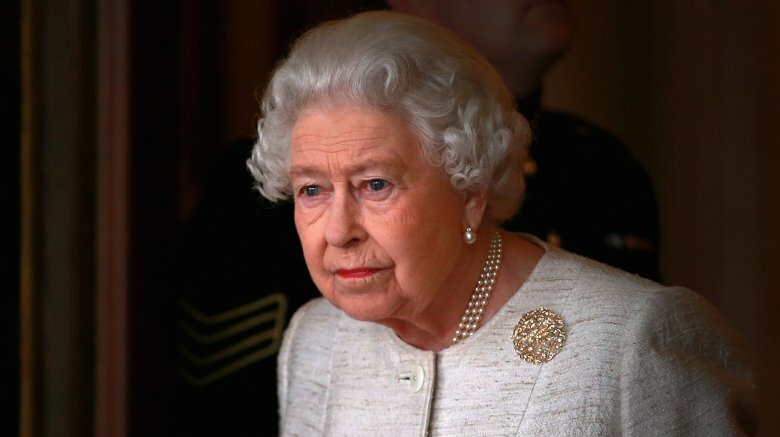 According to The Local, the Royal Family's official website claims the Queen can speak "fluent" French, though natives have questioned that claim. "Let's face it, we've all exaggerated our language ability on our CVs before," The Local notes. Clearly, Elizabeth is comfortable with the tongue. Video from her 1964 speech in Quebec, Canada shows her speaking French for more than ten minutes with expert pronunciation (though she was reading from a paper). Footage from 2012 shows her chatting with French President François Hollande and seemingly making expert-level small talk. 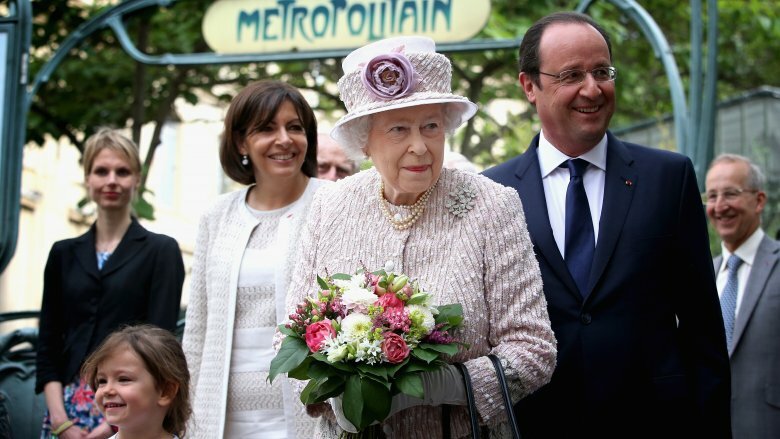 French language expert Camille Chevalier-Karfis told The Local: "[The Queen] seems to be understanding basic conversation and can read a speech perfectly, but I don't know how [she would manage] a whole conversation or watching a movie in French." It's a good thing the Queen loves animals, because she technically owns almost all of them. According to a sovereign law established in 1324: "The king shall have wreck of the sea throughout the realm, whales and sturgeons taken in the sea or elsewhere in the realm." 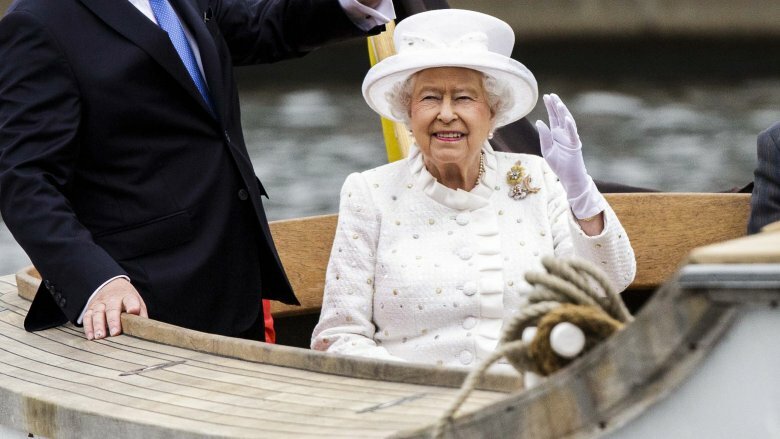 Translated into modern-speak by the book The Wicked Wit of Queen Elizabeth II, this means the king (or queen, in this case) claims legal ownership over all the whales, dolphins, sturgeons, and other "fishes royal" that swim within five kilometers of British land. The same rule applies for any fish caught within that perimeter. You caught it, but the Queen claims it. Obviously, most people fish without royal interference. However, tradition dictates that whoever buys a "fish royal" asks for his purchase to be "accepted by the Queen." It's an honor thing, and the Queen virtually never says no. Not even if she's hungry and craving seafood. Plenty of people love The Crown, the Netflix drama about the early years of Queen Elizabeth's reign. One of the show's most famous fans is reportedly the Queen herself, who apparently has no issue with the show's warts-and-all approach to her life. According to the Express, the Queen was allegedly turned onto the show by her son, Earl Edward, and daughter-in-law, Countess Sophie. "[Edward and Sophie] have a Netflix account and urged [the Queen] to watch it with them," a source within the palace said. "Happily, she really liked it, although obviously there were some depictions of events that she found too heavily dramatized." 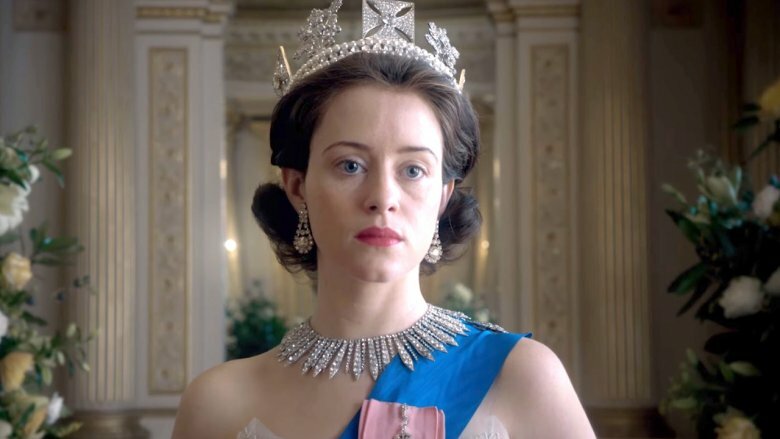 Her fandom might be tested come Season 2 because series creator Peter Morgan has suggested the next season may cover prince Philip's alleged affairs throughout the late '50s and early '60s. Morgan remarked at a panel discussion at the Royal Television Society: "Doesn't everyone in Britain know he had an affair?" No matter what the Queen does or doesn't know, there's a chance she might not want to hear about it from Netflix. Sad as it is to think about, England is prepared for the inevitable. According to The Guardian, the country has an extensive plan dictating how to deal with the Queen's passing. Dubbed "London Bridge," the operation will reportedly begin with the Prime Minister being told "London Bridge is down." From there, other nations in her empire will receive word over secure lines and government officials from various countries will don black armbands. As for the public, a mourner will pin a black notice to the door of Buckingham Palace, and the Royal Family's website will display but a single page–the same notice on a black background. Radios across England will begin playing somber, inoffensive music. As BBC radio producer Chris Price told the The Huffington Post, "If you ever hear 'Haunted Dancehall' by Sabres of Paradise on daytime Radio 1, turn the TV on. Something terrible has just happened." As for Charles, he will become King Charles III the day after Elizabeth's death. According to The Guardian, his coronation and first official duties have already been mapped out, almost to the minute, to ensure the transition of power goes as smoothly as possible.